Whether it’s your doctor in the hospital, a U.S. Navy surgeon, a school nurse immunizing kids or a paramedic assisting accident victims, odds are if there’s a medical professional involved, he or she will be wearing a uniform with an embroidered patch. Healthcare patches can be creative and colorful. Members of the medical community use embroidered patches to show their affiliation, specialty and other information about their specific role in treating patients. Almost all major hospitals and university affiliated medical centers have doctors, faculty, staff members and even students wear a uniform shirt or lab coat with an embroidered patch on the shoulder sleeve or above the garment’s breast pocket. Embroidered patches help with quick and easy identification of personnel and allow individuals and their specialties to be quickly and easily recognized. 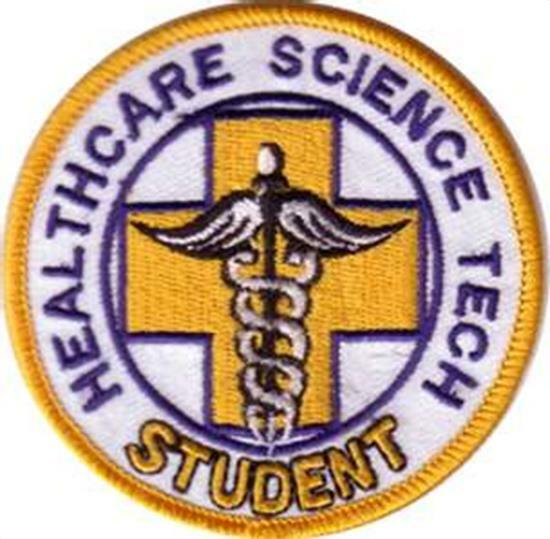 Medical and healthcare students are often identified by an embroidered patch on their uniforms. Medical personnel wear patches ranging from simple single color block shape designs to much more elaborate, die-cut embroidered patches featuring multiple colors and intricate images crafted in embroidery thread. 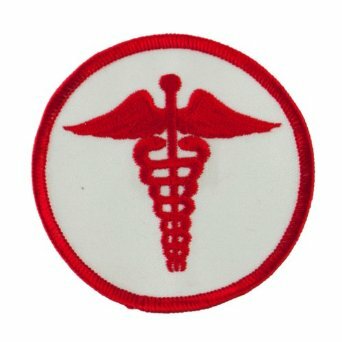 Many healthcare embroidered patches feature a caduceus, two snakes winding around a winged staff, commonly known in the United States as a symbol of medicine and healing. Ironically, this is not the correct usage; the single snake emblem, the Rod of Asciepius, is the tool used by the Greek healing god and it can be seen on many healthcare patches. The confusion between the two emblems dates back more than a century to the U.S. Army Medical Corps mistaken adoption of the two-snake emblem in 1902. The two-snake Caduceus is actually not the medical symbol. 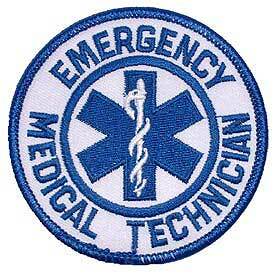 This EMT patch correctly uses the Rod of Asciepius as the medical practitioner symbol. 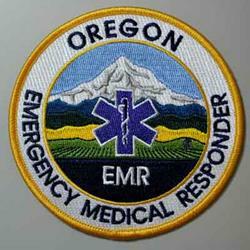 Another major user of medical embroidered patches are various first responders. Paramedics, emergency medical technicians (EMTs), ambulance attendants and even Life Flight nurses and other personnel wear uniforms prominently featuring colorful embroidered patches. The patch helps emergency workers and first responders at an accident scene to visually identify aid workers and their specific tasks.